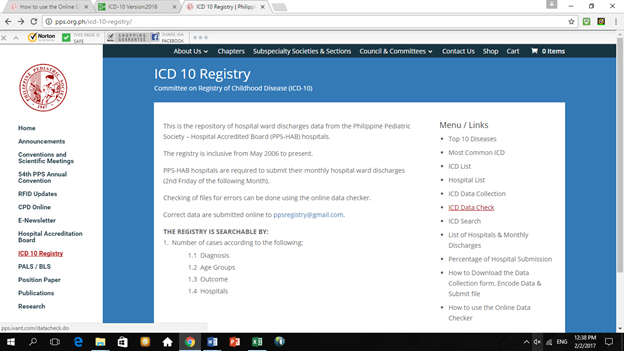 How to check for errors using the Online Data Checker | Philippine Pediatric Society, Inc. Choose the .csv file you want to check. Click Open. Then click on Check file. If there are no errors the following message will appear. If there are errors, you have to go back to your file and correct the errors. 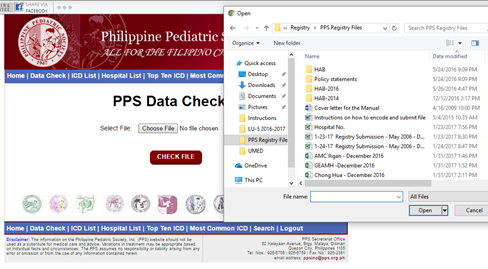 After editing your file, run the online data checker again to check your file. year of the file you are submitting. 3. 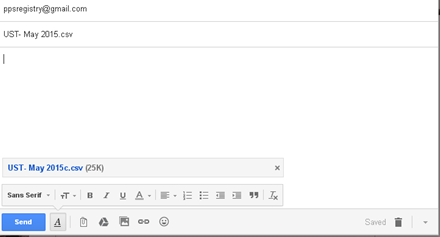 One email, one attachment.